Hall of Fame Induction: Tito Ortiz Jul 7, 2012 (15:45) Watch the induction ceremony of Tito Ortiz into the UFC Hall of Fame. Tito Ortiz vs Ryan Bader UFC 132 Jul 2, 2011 (9:00) In what could be his last fight of his Hall of Fame career, Tito Ortiz faces Ryan Bader at UFC 132. Ortiz knows that with a loss to Bader, his fighting days will be over in the UFC. With his back up against the wall, can Ortiz extend his legendary career? Tito Ortiz vs Patrick Cote UFC 50 Oct 22, 2004 (30:41) Undefeated Canadian knockout artist was expecting to make his UFC debut, but not in the co-main event against a former champ(!). 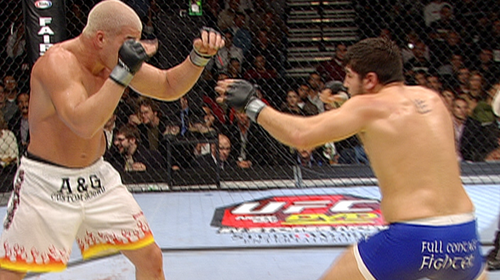 Filling-in for an injured Guy Mezger, Patrick “The Predator” Cote took on the 10-4, ground & pounding Tito Ortiz. Tito Ortiz vs Vladimir Matyushenko UFC 33 Sep 28, 2001 (34:24) Targeting a record 5th consecutive/successful title defense, UFC light-heavyweight champ Tito Ortiz entered the Octagon to collide head-first with former Soviet National wrestling champ with an MMA record of 10-1 - Vladimir “The Janitor” Matyushenko. Tito Ortiz vs Elvis Sinosic UFC 32 Jun 29, 2001 (20:46) In the main event melee, UFC light-heavyweight champion Tito Ortiz, who scored back-to-back first round finishes in consecutive title defenses, was set to take on a Brazilian jiu-jitsu blackbelt challenger from Australia - Elvis Sinosic. 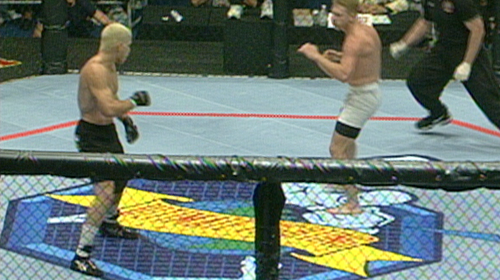 Tito Ortiz vs Evan Tanner UFC 30 Feb 23, 2001 (15:49) UFC 30 Battle of the Boardwalk was the start of a new era for the UFC as the first card under a new regime. 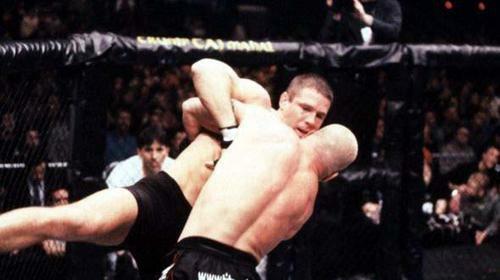 Tito Ortiz topped the card with a title defense against Evan Tanner in this cornerstone event for New Jersey fight fans. Tito Ortiz vs Wanderlei Silva UFC 25 Apr 14, 2000 (43:49) To crown the first UFC “light-heavyweight” champion, “The Huntington Beach Bad Boy” was ready to claim the belt he almost had a year earlier as Tito Ortiz went to war with Wanderlei Silva, who had been busy putting together a 6 fight winning streak. 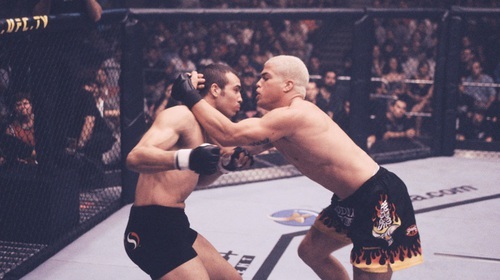 Tito Ortiz vs Guy Mezger UFC 19 Mar 5, 1999 (23:14) On paper, this main event rematch appeared innocuous enough as Tito Ortiz tangled with Guy Mezger. 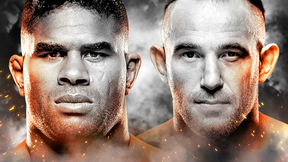 The result of the middleweight bout would prove to be the tipping point of Ortiz’s near decade long, bitter feud with Ken Shamrock’s the Lion’s Den. Tito Ortiz vs Wes Albritton UFC 13 May 30, 1997 (7:28) It all started in an alternate bout, future UFC Hall of Famer “The Huntington Beach Bad Boy” Tito Ortiz entered the Octagon for the first time in first pro MMA bout at 22 years young against Wes Albritton, a blackbelt in Kenpo karate.